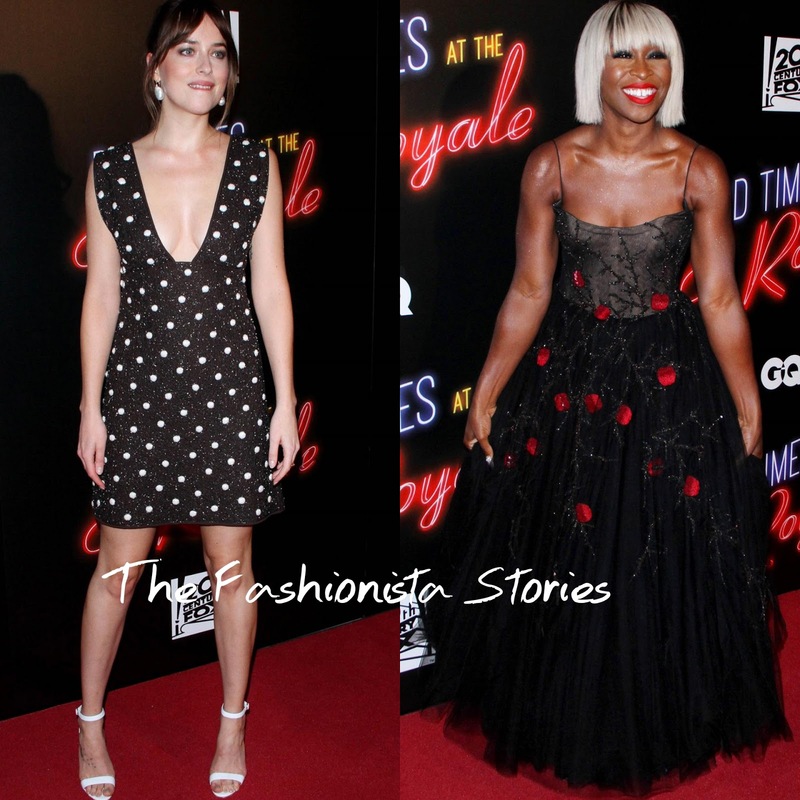 Continuing on the promo tour, Dakota Johnson and Cynthia Erivo hit the red carpet at the 'Bad Times at the El Royale' premiere in New York. 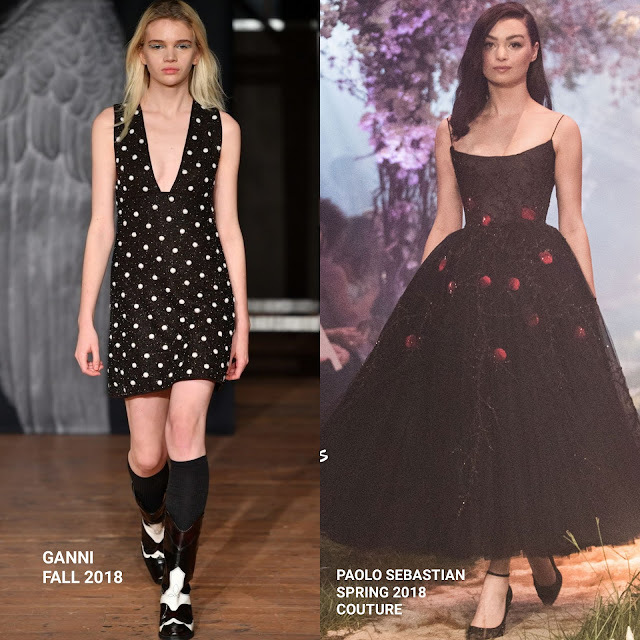 Dakota Johnson rocked the GANNI FALL 2018 'Farrow' black & white hand sewn beaded sequin v-neck mini dress, featuring a bow back. Accessoried MIZUKI jewelry and white sandals, she finished up with a ponytail with bamgs. Cynthia Erivo took a dresser approach, wearing a PAOLO SEBASTIAN SPRING 2018 black beaded tea length chiffon dress, featuring constrasting red apple embellishments. I actually prefer how the dress looks on the runway but Cynthia looks lovely in it as well. DE BEERS, VALANI & MESSIKA jewelry, a vob with bangs and red lips, offset with a smokey eye finished up her look.